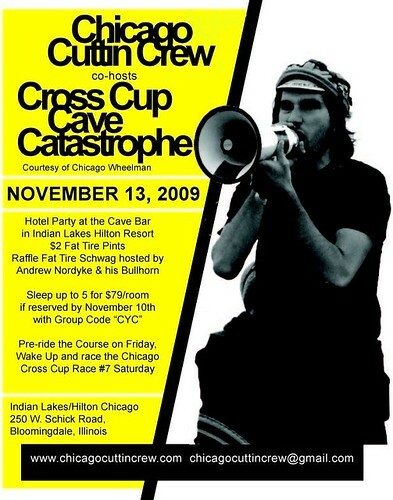 Someone thought it would be a good idea to set up a bitchin' party in conjunction with the most delicious of all oat sodas at a hotel bar called "The Cave" the night before a Saturday cyclocross race being held at that Hotel's golf course. We agree. Alliteration? Check. Prizes? Check. Andrew? Check. Bullhorn? Check. The Hilton Chicago/Indian Lakes Resort will gladly reserve you a room worthy of you and 4 friends. You can sleep up to 5/room and they won't even bat an eye. Or, be a Baller, roll up solo. Just make sure you go to the Group/Convention Code section and enter "CYC" to get a room for the ridiculous rate of $79. It comes out to $88 total with taxes so plan for that. Also, be sure to book by November 10 to get the deal for Friday the 13th. Then come and meet us all at the bar. You can pre-ride the course Friday. Go for a swim. Have a relaxing time at the spa. Get lit. And wake up the next morning AT the race! It's freakin' brilliant. It's not even necessary to fulfill all 4 steps, you're pretty much guaranteed to have a good time either way. Unless you hate fun. Then you won't. 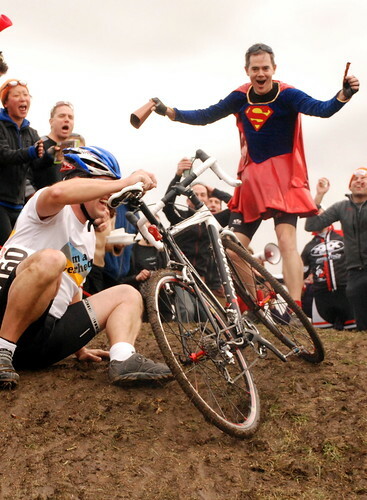 Just remember friends, few acts of heroism eclipse riding a cyclocross race through a hall of hecklers that KNOW you're hungover.